Hilary Duff wore ban.do for the second time in an Instagram snap she shared over the weekend! 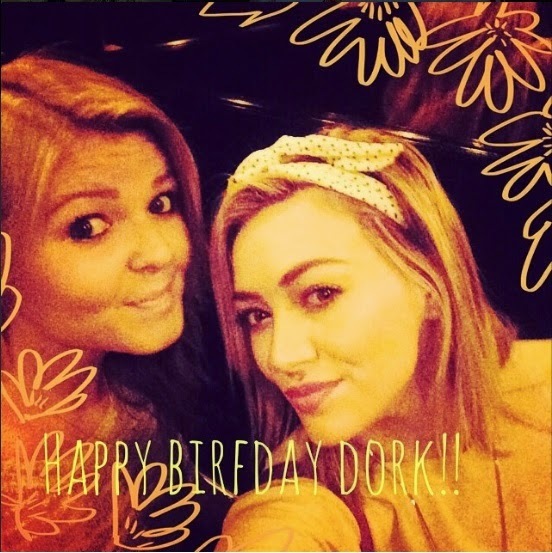 Hilary posed with her BFF in her ban.do Twist Scarf in Black and White Polka Dots ($20, www.shopbando.com). Hilary Duff wore ban.do earlier last week! You can see our previous blog post to see the photo of Hilary in polka dots.